Talented game designers from China will be completing their studies at Plymouth University as part of a groundbreaking new partnership. The University has signed an agreement with the Nanjing University of the Arts to jointly run an undergraduate award, officially endorsed by China’s Ministry of Education. The dual award will recruit its first students to start in September 2017, and they will study for three years in the Far East before completing their fourth year in the UK. It means 50 Chinese students per year will be coming to Plymouth from September 2020, adding to the existing international student population of 3,000 students from over 100 countries. The digital art and technology course has been running at Plymouth University for 25 years, and has spawned a number of award-winning graduates and spin-out companies. 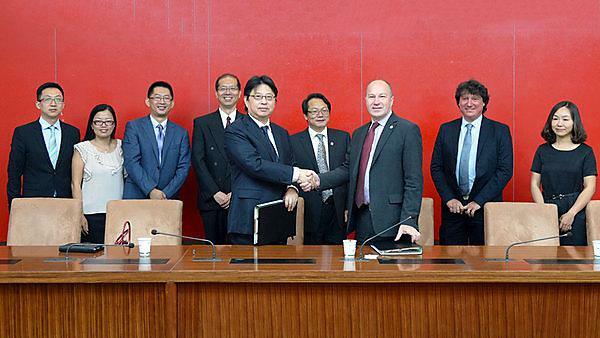 The new partnership will see academics from Plymouth working with their counterparts in Nanjing to develop the full four-year course. Over the first three years in China, students will study a number of core modules including five designed and led by academics from Plymouth, as well as taking courses to improve the standard of their English above normal entry requirements. When they graduate, they will receive awards from both institutions, meaning they can progress into work or to further study in either country.